This book deals with nearly all aspects of power system engineering starting from general approach such as load estimate and the selection of suitable system and substation topology. Details for the design and operational restrictions of the major power system equipment, like cables, transformers and overhead lines are also dealt with. Basics for load - fl ow representation of equipment and short - circuit analysis are given as well as details on the grounding of system neutrals and insulation coordination. A major chapter deals with the procedures of project definition, tendering and contracting. 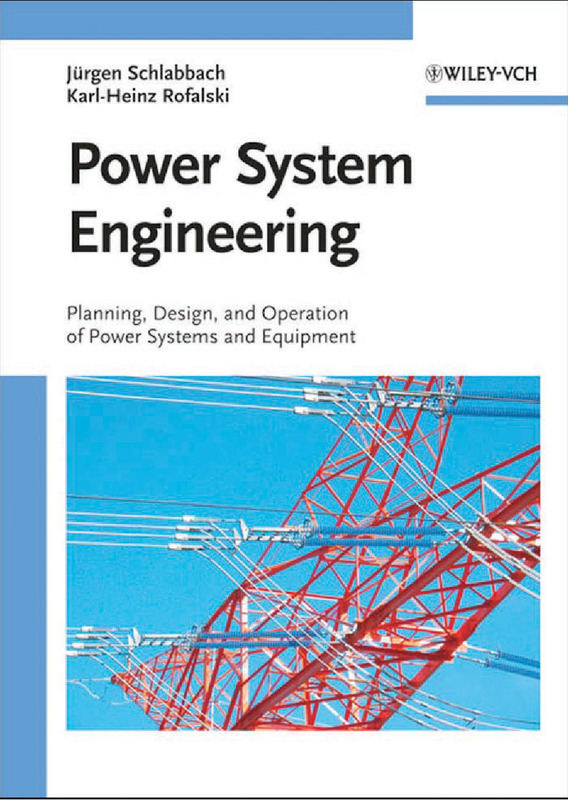 The purpose of this book is to serve as a reference and working book for engineers working in practice in utilities and industry. However, it can also be used for additional information and as a hand - book in post - graduate study courses at universities. The individual chapters include theoretical basics as far as necessary but focus mainly on the practical application of the methods as presented in the relevant sections. Carrying out engineering studies and work moreover requires the application of the latest edition of standards, norms and technical recommendations. Examples are given based on projects and work carried out by the authors during the last years. The preparation of this book was finalised in March 2008 and reflects the actual status of the techniques, norms and standards. All comments stated in this book are given to the best of knowledge, based on the comprehensive technical experience of the authors. Extracts from IEC 60905:1978 and DIN - norms with VDE - classifi cation are permitted for this edition of the book by licensee agreement 252.007 of DIN (Deutsches Institut für Normung e.V.) and VDE (Verband der Elektrotechnik Elektronik Informationstechnik e.V.) on 08.11.2007. An additional permission is required for other usages and editions. Standards are only to be applied based on their actual issues, available from VDE - Verlag GmbH, Bismarckstr. 33, D - 10625 Berlin, Beuth - Verlag GmbH, Burggrafenstr. 6, D - 10787 Berlin or the national standard organisation. The authors would like to thank Dipl. - Ing. Christian Kley and canding. Mirko Zinn, University of Applied Sciences in Bielefeld, for spending time and efforts to draw the figures and diagrams. Special thanks are addressed to the staff of Wiley - VCH for the very good cooperation during the preparation of this book. Our thanks are also extended to our families for their patience during the uncounted hours of writing the book.